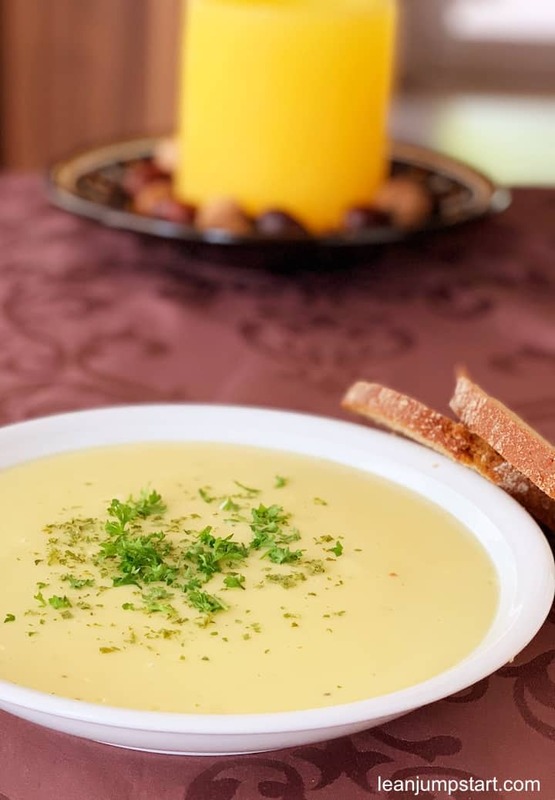 This simple parsnip soup is perfect for the cold and stormy season. The classic winter vegetable is healthy and very easy to prepare. You can serve the soup as a starter or use it as the main dish with slices of whole grain bread. This is something we enjoy on chilly Saturdays. 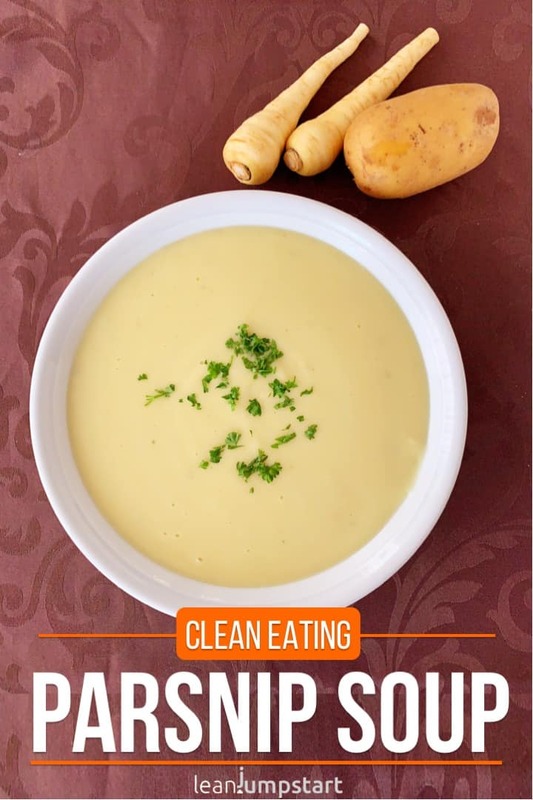 Beside of the simple potato parsnip soup recipe, I will also share with you an easy trick on how to distinguish these white veggies from parsley roots. I admit that I learned about these root vegetables only when I stumbled over them in my veggie subscription box some years ago. I really had no idea what to do with this strange food. Curious as I am, I did a research and learned some smart ways, how I can use it. In case you don’t have a clue about them – here comes a small explanation. Parsnips are easily digestible root vegetables that resemble carrots. Back in the Roman Empire, they used to be a staple and one of the most popular root veggies. This ancient food is perfectly suitable for soups, parsnip puree or roasted. But you can also use it for salads or chips. They have a sweetish, slightly nutty taste like a combination of carrots, celery and parsley roots. They are among those few vegetable types that taste milder and sweeter with the first frost. As winter vegetables they are available fresh on the market from October until early spring. Parsnips and parsley roots are often confused. Both have a cream white root – similar in appearance. The parsley root is often a bit thinner. The most remarkable “key differentiator” however is, that parsley roots usually come with the typical herbs at the top, parsnips don’t have. Hint: The fatter the root the softer its pulp. It’s advised to peel larger roots even if you use organic vegetables. Cut in small chunks, they can be cooked in some water within 20 minutes. Smaller, tender roots can be used with their vitamin and mineral-rich peel. Some people prefer to steam parsnips and serve them as a side dish. Others bake bread and cakes with these underground taproots. You can eat them even as raw food, grated into a salad. My favorite recipe, however, is the here presented soup meal. Click through for more delicious high fiber meal inspirations. Potatoes and parsnips are the base for this creamy soul food. 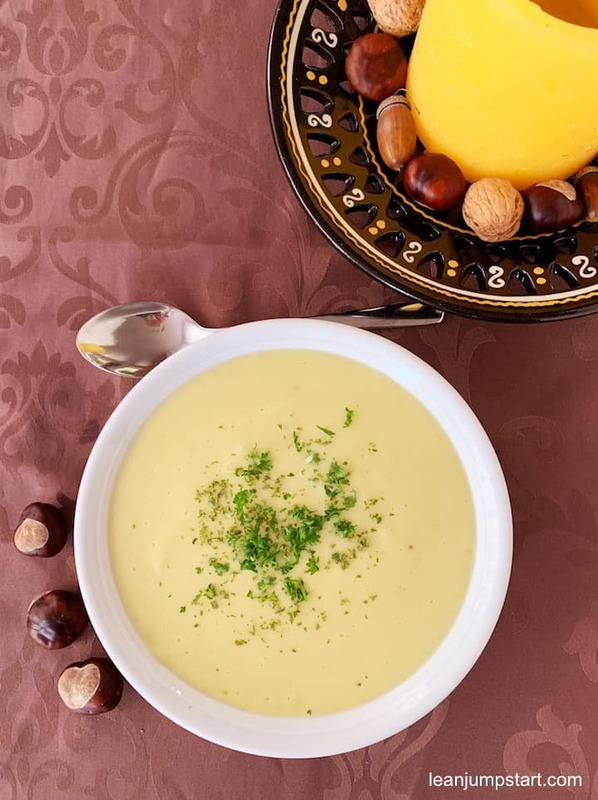 Check out the easy recipe below, I’m convinced that you will love this soup! You can easily create a vegan version too. Heat rapeseed oil in a large saucepan over medium-high heat. Add onions and gently fry for three minutes, until onions turn clear. Add parsnip and potato cubes and let it steam for another minute. Pour vegetable broth into the saucepan, cover and bring to a boil. Cook stirring occasionally over medium heat for 20 minutes or until the potatoes are soft. Mix with a hand blender or immersion blender. Let it simmer again at low heat for 5 minutes (but do not boil). For best bioavailability serve it with slices of crusty bread, ideally whole grain. Calories in this root vegetable are negligible and yet their complex carbohydrates with soluble and insoluble dietary fiber provide them with a high satiation effect. In fact, parsnips are one of the vegetables with the most fiber. Their calorie to fiber ratio is really impressive. 100 grams of these roots contain whopping 4.9 grams and only 75 calories! We all know that adequate fiber in the diet also helps with obesity and constipation conditions. For more information on food roughage check out my top 100 high fiber foods. In addition, parsnips are rich in vitamin B, vitamin C and minerals like potassium. As an essential component of cell and body fluids, Potassium aids controlling blood pressure and heart rate by countering effects of sodium. By the way, this root veggie is a wonderful first food for babies. I have actually never had parsnips! But this soup does look delicious! These fiber rich root veggies are really worth a try especially for people who have a hard time to tolerate the typical roughage foods. So glad it is soup season! 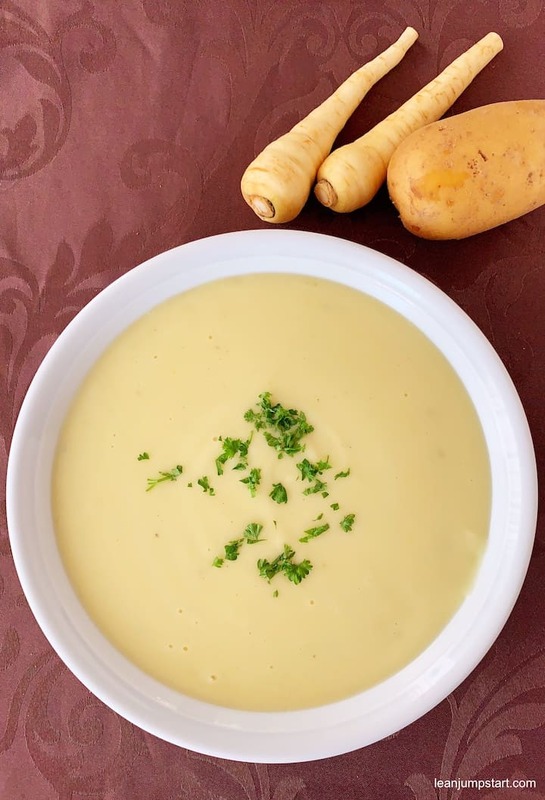 This cream of parsnip soup looks so warm and comforting! Thank you Alyssa, yes with some whole grain bread it makes the perfect comfort meal for a stormy fall day. That looks like a bowl of comfort! Perfect for the cooler weather that’s on the way! This soup sounds perfect and the parsnips sound like they’d be a great addition for soup. Look forward to trying this.